Clients bring their vehicles to Perfectionist Auto Sound & Security for sound quality improvements to their car audio systems. One way that we can achieve this is by upgrading your speakers. Perfectionist carries premiere brands like Audiofrog, Morel, Hertz, Audison and Pioneer. Let’s look at why speakers are one of the most important components of your mobile entertainment system. 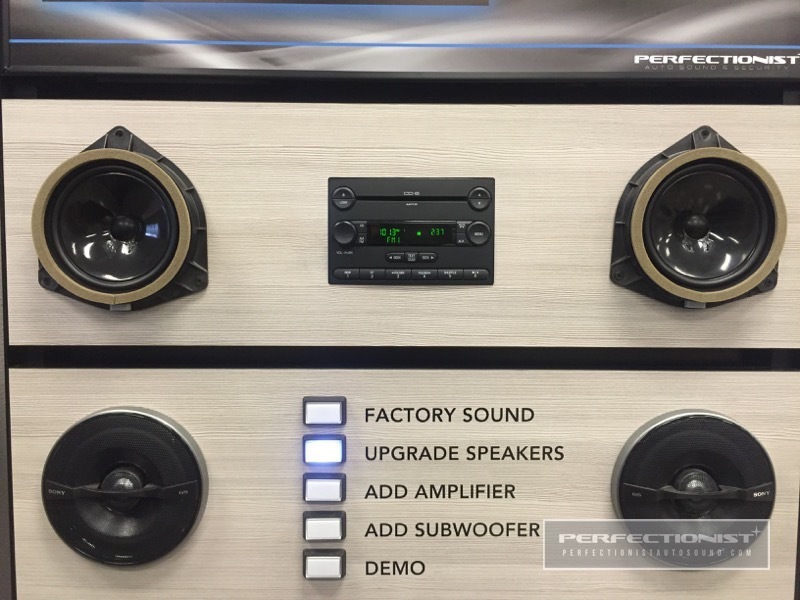 Automakers design the speakers they use in their vehicles to meet a specific price point. In most cases, this price is about the same as what you would pay for a fast food lunch, without the upsized fries and drink. You can imagine that this limited budget also limits the performance of the speakers. You could have the best electronics in the world, but if your speakers can’t convert the signal coming from your amplifier into great sound, then the whole system suffers. One of the many benefits of aftermarket speakers is the ability for the speaker cones to move farther, which consequently allows them to play louder. Cone excursion becomes especially important when you want to add an amplifier to your system to allow it to play louder. Another speaker upgrade benefit is power handling. Aftermarket speakers are designed to dissipate heat better, so they last longer. Power handling and speaker cone excursion work hand-in-hand to create more output. Truly premium car audio speakers – like the Audiofrog GB series and Morel Supremo and Titanium – offer dramatically reduced distortion levels compared to entry- or mid-level speakers. The use of mechanically and electrically balanced motor structures and premium cone materials result in clearer, more detailed sound. These speakers don’t change their sound as you turn up the volume – the music is effortless and dynamic, even at concert-level volumes. Premium speakers recreate even the most minute details with amazing clarity. When you get used to speakers like these, it’s hard to go back to “normal” speakers. 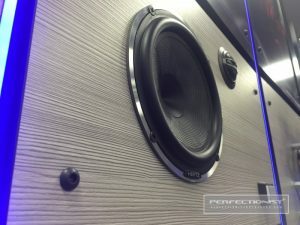 Proper speaker installation is key to getting maximum performance. 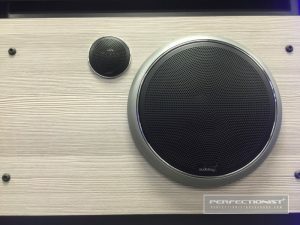 Our team of expertly trained technicians knows how to get the most from any speaker we install. From a basic OEM replacement coaxial to two- and three-way component sets worth thousands of dollars, we install each and every speaker securely and reliably in a location that maximizes cosmetic integration and overall system performance. We can also create custom mounting locations in the doors or on the dash for even more performance. 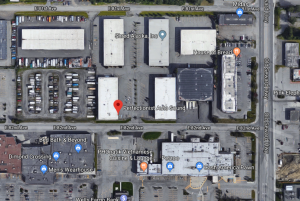 If you are in the Anchorage, Alaska, area, drop into Perfectionist Auto Sound & Security. 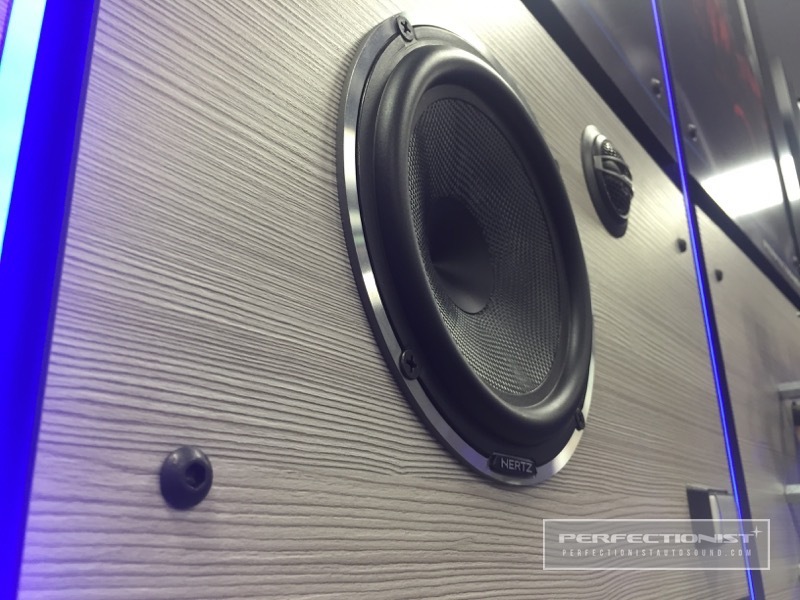 We would be happy to let you listen to any of the more than a dozen sets of speakers we have on display in our showroom and our demo vehicles. Bring your favorite music and hear it like you’ve never heard it before. For more information on improving the sound of your system with a speaker upgrade, contact us here. The NEW Compustar T12 Remote Start! “Always Be Ready For The Unexpected”, Momento.